When Heidi Durrow was eleven, she moved with her parents to Portland, Oregon, and for the first time in her life was asked, “What are you?” What people meant was: “Are you black or are you white?” Durrow’s father is African American; her mother is Danish. The family lived overseas for the first eleven years of Durrow’s childhood, where she’d never faced scrutiny about her race. The move to Portland led to an identity crisis, but also led Durrow to explore the theme of “growing up mixed” in her novel “The Girl Who Fell from the Sky,” about a mixed-race girl named Rachel Morse who moves into a mostly black neighborhood after surviving a family tragedy. At her new school, Rachel finds that the other kids don’t know what to make of her—she has blue eyes, straight hair, and speaks “like a white person,” but she also has brown skin. Durrow’s novel, which was released in 2010, is a national best-seller and a winner of the Bellwether Prize for Fiction. Durrow also writes a blog, Light Skinneded Girl, hosts a podcast called Mixed Chicks Chat, and curates the annual Mixed Roots Film & Literary Festival, which took place this year in early June. Recently, she joined me for a chat about her writing and her various projects: an edited version of our conversation appears below. You’ve said that you didn’t think about your race until you were eleven. What happened when your family moved to Portland after living abroad? I really didn’t know what race was until then: we moved to a mostly African-American neighborhood, and like the character Rachel I was suddenly faced with a new question all the time. I know it sounds naïve, but my dad was my dad and my mom was my mom and we kids were a beige color in between. I learned to say “I am black” to those who asked, because that’s what they expected of me. It took me until just a few years ago to feel totally comfortable saying I was mixed—particularly (please excuse the pun) in mixed company. 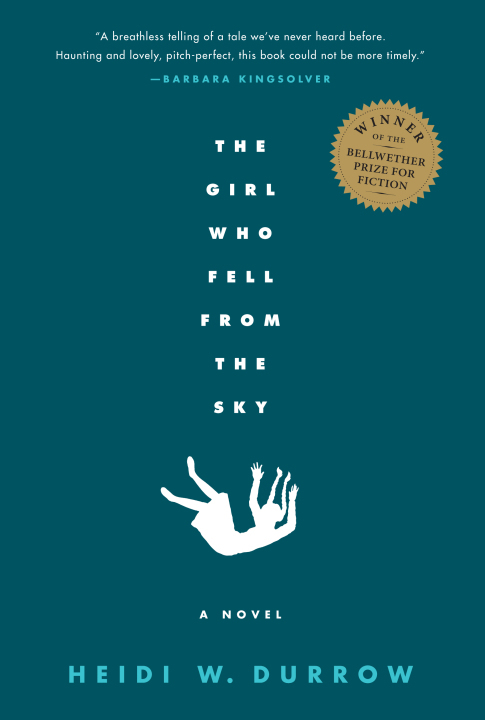 Did writing “The Girl Who Fell From the Sky” change your sense of yourself and your family? Writing the book—and finally publishing it after a twelve-year struggle—has been healing. I grew up not knowing how to talk about these central issues of my life: racial and cultural identity and our society’s ideas of beauty and value. I’ve broken the silence and found a language to talk about these issues—it’s been amazing. But more than that, it has been amazing to meet readers who connect with the story in their own way, whether because they have struggled with being labeled from a young age, or whether they have dealt with unimaginable grief, or whether they have just felt like the most important thing about them wasn’t visible to the world and they had no way to communicate it. You speak Danish, and you seem to connect as much with your Danish background as with your African-American background. Your book has also developed an Afro-Viking following. Were you surprised to hear from other African-American Danes? What has your experience been post-publishing? I can tell you that my unofficial census count of fellow Afro-Vikings is now at eleven total living in the United States. It’s not just me and my brothers any longer! Yes, I was absolutely surprised to learn that there were more of us out in the world. I didn’t have a mirror growing up—and here I am at age forty-one finding a mirror in these other folks who have experienced the same things. People have an idea that all Danes are blonde-haired and blue-eyed. It really is changing, but still, I am tickled whenever I have gotten together with my fellow Afro-Vikings and I’m in a group of brown folks speaking in Danish about frikadeller and leverpostej and dancing around the Christmas tree. Which writers have influenced your work the most? Nella Larsen, the amazingly talented Harlem Renaissance author, who was half-black and half-Danish is my literary muse and mother. Her first novel—published in 1929—featured a character that was half-black and half-Danish and it received a lot of critical acclaim. She was the writer that gave me permission to tell my curious little story about a black Danish girl. She had been brave enough to tell her tale more than eighty years ago: why shouldn’t I then tell mine? And it’s funny because I denied her for a long time. I decided early on that she wasn’t “black enough” and refused to read her. She was no Toni Morrison, Alice Walker, or Gloria Naylor—my favorites and great influences, because I wanted to be a black woman writer. It wasn’t until after college that I read her work and I fell in love. In 2006, I visited her grave to pay homage to her legacy—I’d just been invited to my first public-speaking appearance, because I was writing about the intersection between African-American and Danish culture. When I saw that her grave was unmarked, I hunted down the family that owned the plot and got permission to install a headstone for her almost fifty years after her death. I wrote an essay about that experience, which is available on my Web site. My other major influences include Jamaica Kincaid, Hans Christian Andersen, Michael Cunningham, William Faulkner, and the poets William Stafford and Sharon Olds. Have you felt a significant change in people’s reaction to your ethnicity over the past few decades? I couldn’t have anticipated that my perceived identity would shift so much depending on where I was. I went to college at Stanford, in California, where I lived in a Hispanic-themed dorm my freshman year. A lot of people assumed I was Latina—and honestly, at first, I thought I’d go ahead and pass—it was nice to have a “home” among people who looked like me. I became the second-vice chair of the Hispanic Electrical Engineering Society. If I hadn’t changed my major to English, I don’t how I’d identify today. When I moved to New York after graduation, I realized that people thought I was whatever they were: Puerto Rican, Greek, Bangladeshi, you name it. I think that people are still often puzzled by my ethnicity. And on an almost daily basis, I am asked “Where are you from?” which is the veiled version of “What are you?” You can imagine how unsatisfied people are when I say Oregon. That said, I do think that awareness and attitudes about the Mixed experience have changed some since the nineteen-eighties. I think it’s easier to grow up multiracial in the big cities like L.A. and New York. And of course, we have a biracial African-American president. But it’s not changed in a lot of places. Recently, when I visited a high school in Portland that chose the book as high school-wide read, I was both flattered and flabbergasted when a young woman declared: “You wrote my life.” When I asked her, how could that be true when I wrote the book about a time some twenty to thirty years past, she said she was dealing with the same difficulties growing up biracial as the book’s protagonist. You do a lot to promote discussion about being mixed. Can you tell us about your various projects? I started a blog called Light Skinneded Girl in 2006 to write about issues of the Mixed experience. I wanted to explore my own personal story, but I also wanted to create a history of the Mixed experience that didn’t start in the nineteen-sixties in an era of free love. So every May I profile about two dozen historical figures for Mixed Experience History Month—and it’s not just profiles of Mixed people but also of people like Richard Aoki, an Asian-American Black Panther. In 2007, I started a podcast with my friend Fanshen Cox called Mixed Chicks Chat. We always felt so much better when we shared our stories and difficulties about being mixed. We thought maybe other people would feel better, too. To date, we’ve done more than two hundred episodes and we keep showing up each week to hear stories from scholars and artists and just regular people, too. When we discovered how many musicians and performers and writers were eager to be on the show, we decided to create the Mixed Roots Film & Literary Festival, an annual festival that celebrates stories of the Mixed experience. 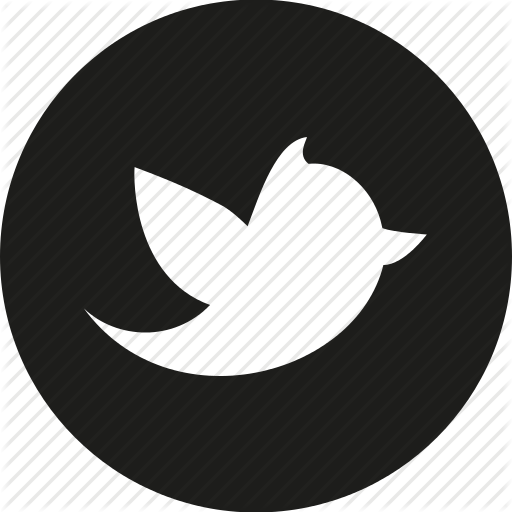 For original link, click here.